The ability to produce doubled haploid (DH) plant material, which is 100% homozygous at every genomic locus, is of great benefit to both research and breeding. Among the advantages of homozygous genotypes are the fact that they are stable over generations (immortal), ensure a homogeneous crop and simplify investigations into the genetic make-up of a species. As parents of hybrid breeding programs DHs allow for the most effective exploitation of heterosis, the increased vigor observed in progenies of a cross between two inbred parents. Using either in vivo or in vitro methods to double the chromosomes of a haploid individual or cell containing a single chromosome set (n), doubled haploids can be created in a single generation. The traditional way of generating homozygosity by repeatedly self-fertilizing single plants is both laborious and time-consuming and cannot efficiently be performed on those species that have self-incompatibility mechanisms in place to reject their own pollen or suffer from inbreeding depression. Production of DHs has therefore only become routine in the breeding programs of crops for which methods are cost-effective and scalable, such as maize, barley, and rapeseed. As a consequence, significant and measurable increases in the speed of yield gain have thus been achieved and doubled haploid or hybrid cultivars dominate the seed markets. We investigated doubled haploid production in perennial ryegrass (Lolium perenne L.), an important forage crop in temperate agriculture with a highly effective self-incompatibility system. All potential benefits associated with the ability to generate doubled haploid material may thus be unlocked for this economically important species. 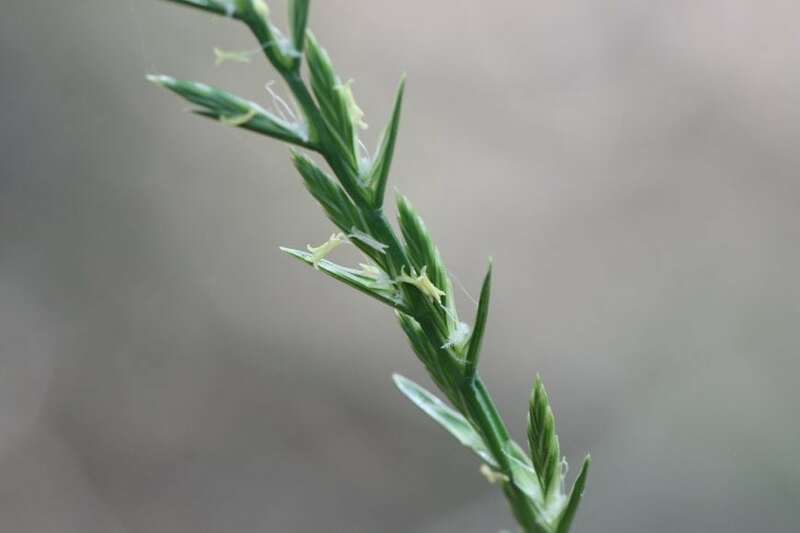 In the ‘80s and ‘90s, in vitro, DH production protocols based on the cultivation of immature pollen grains, or microspores, have been developed for use in perennial ryegrass. Under the right circumstances, a switch in the developmental pathway can be induced in haploid, immature pollen cells so that embryogenesis and subsequent plant regeneration occurs instead of the production of mature pollen. This process, known as microspore embryogenesis, can give rise to haploid or, via spontaneous chromosome doubling, diploid plants. A suitable pre-culture stress treatment, in this case, a cold shock, as well as appropriate culture conditions are paramount to the success of in vitro DH induction. 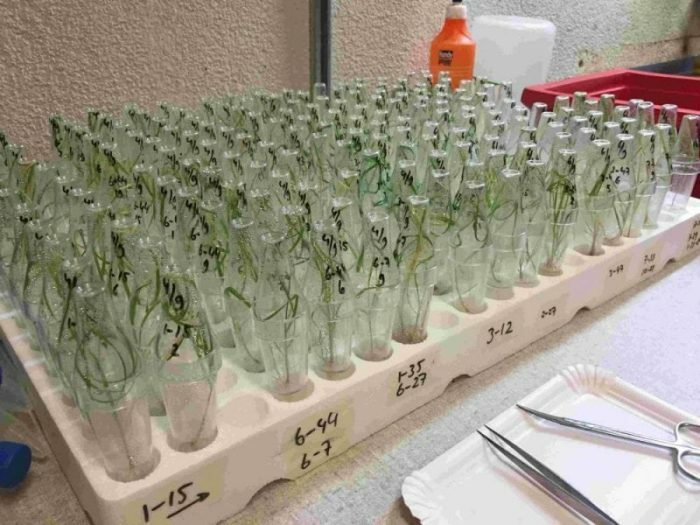 Despite the availability of a protocol for perennial ryegrass microspore culture, the response to the procedure is highly genotype-dependent and individuals with a good response are very rare. 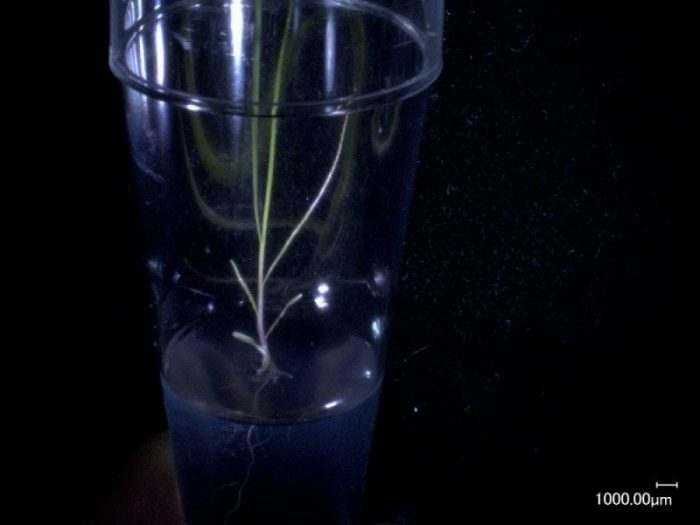 In addition, tissue culture-related albinism, common in all members of the grass family, further complicates efficient doubled haploid production in this species. 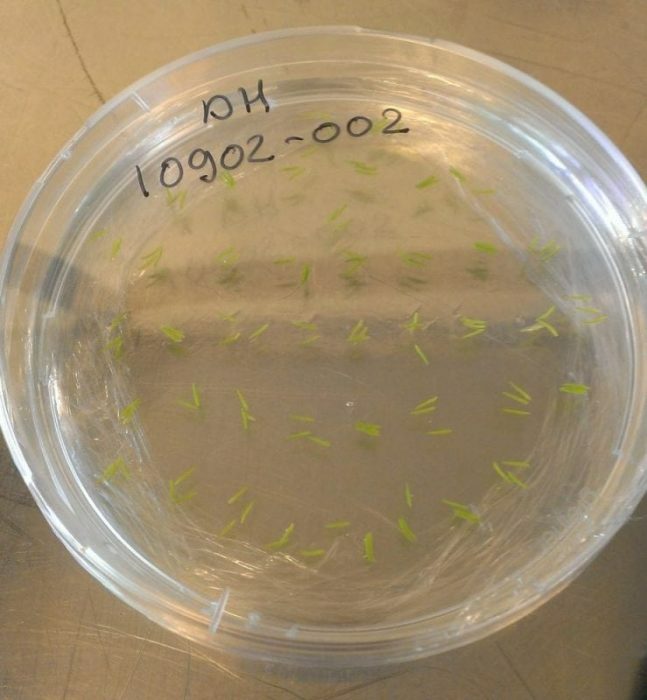 Our work, therefore, aimed to investigate the genetic basis of the response to in vitro DH production in perennial ryegrass, so that targeted manipulations of relevant genetic factors can be undertaken to increase the capacity for doubled haploid induction in breeding material. 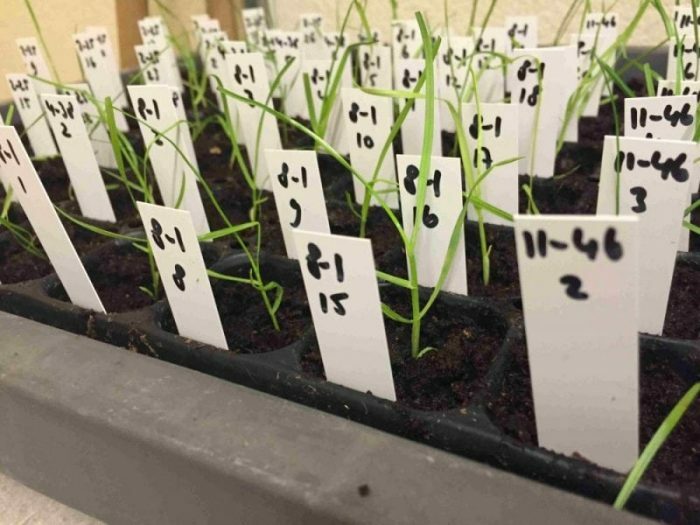 In our paper, we report the responses to in vitro doubled haploid production of several multi-parental populations of perennial ryegrass. These populations were created by crossing parental plants with contrasting doubled haploid induction abilities so that their progeny segregated for such traits as embryo production, plant regeneration and percentage of albino plants produced. We describe the populations’ responses in detail and hypothesize about the inheritance of the distinct component traits important for efficient doubled haploid production. Ultimately, the plant material investigated in our study proved to be an excellent resource to 1) select highly responsive individuals from, which may, for example, be used to produce DHs for a further investigation of their performance, 2) introduce beneficial genetic factors into unresponsive plant material through targeted crossing programs, and 3) perform genotyping and genetic mapping studies to further elucidate the genetic control of the response to in vitro DH induction and identify relevant genetic loci. These findings are described in the recently published article entitled Inheritance patterns of the response to in vitro doubled haploid induction in perennial ryegrass (Lolium perenne L.), in the journal Plant Cell, Tissue and Organ Culture. This work was led by Rachel Begheyn from the Institute of Agricultural Sciences, ETH, Zurich. 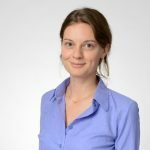 Rachel Begheyn is an Associate Scientist Product Support and Training at Tecan. Her areas of expertise are plant breeding, plant biotechnology, plant cell biology, plant genetics and genomics, plant tissue culture, doubled haploids, perennial ryegrass. She received her Ph.D. in plant sciences from ETH Zurich in 2017.